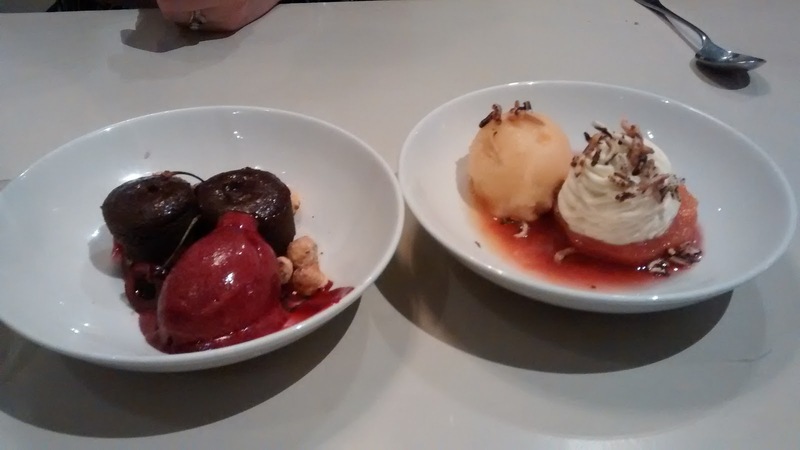 Richard Elliot's Blog: The Modern Pantry, Clerkenwell - I want the duck! 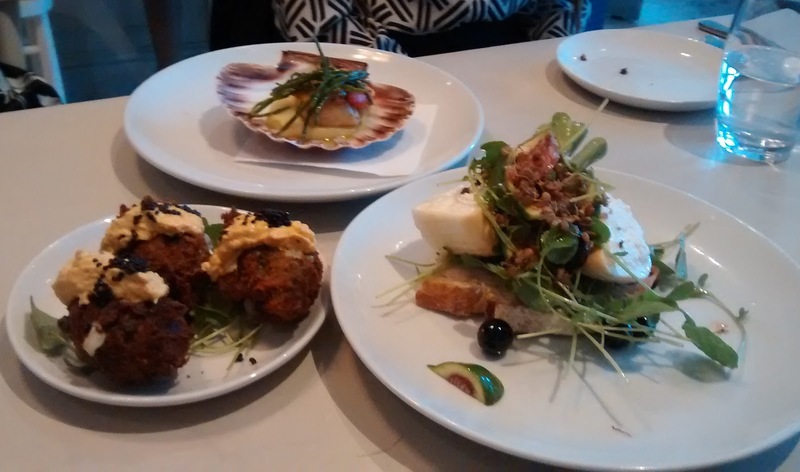 The Modern Pantry, Clerkenwell - I want the duck! Just over a week ago Becks, a couple of work colleagues and I had dinner at The Modern Pantry in Clerkenwell. It was memorable for the waiting staff that looked after us and the rather amusing man at a nearby table. We started off with a waiter who couldn't exactly be described as enthusiastic. Menus were dropped off at our table without a welcome to the restaurant or wishing us a pleasant evening. He then returned a little later and told us, incredibly matter of factly, that the duck confit wouldn't be available for another hour and that the lamb chop on the menu was being replaced with a pork chop. Even some faked regret might have been nice. The main 'entertainment' of the evening then occurred when a nearby table attempted to order the duck confit. The diner in questions became most 'excited' that an item on the menu should be unavailable. He may have really wanted to the duck, but there was no need to take it out on the poor waitress. If someone I was dining with behaved like that I'd be more than a little embarrassed, but his two dining companions didn't bat an eye lid. It made me wonder if these were regular antics. Shortly afterwards one of the managers sidled over to the table to try and soothe the troubled waters. Our initial waiter had become so indifferent to our table that he didn't come back. Happily he was replaced by a very friendly waitress who was much more engaging and interested in us having a good time. She happily explained dishes to us so and even bought an ingredient out to our table so that we could see and taste it. The contrast couldn't have been more stark. We, obviously, couldn't resist keeping an eye on the table across the dining room. When their main courses arrived I couldn't quite make out what our excitable friend received. Was it the duck? Or could it have been the pork chop? Regardless, it wasn't to his liking and it was sent back to the kitchen after a couple of bites. He didn't receive a new main course until well after both his dining companions had finished their dishes. The menu could best be described as 'ingredient led' and more often than not it was quite hard to work out what a dish was going to be like. All the menu had was a list of ingredients with no real indication on how they would be cooked or which ingredients would be the star. 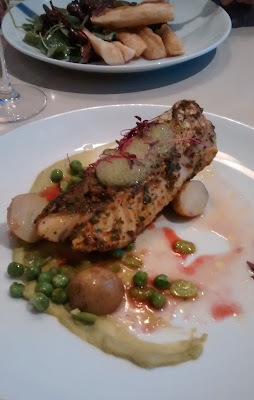 The pollock I had for my main was well cooked, but it wasn't particularly substantial as a main course. It surely at £19 it wouldn't have hurt their profit margin too much to give me more than a couple of jersey royals? On occasion, the dishes also felt a little over-complicated too. The chocolate and almond sponges we shared for dessert were overpowered by the cherry and mahlab sorbet. Just a simple cherry sorbet would have been better for my tastes.